Roberto C. Rosas has lived in the Shenandoah Valley for 20 years, running a small studio out of his basement called “The Lab Winchester”. 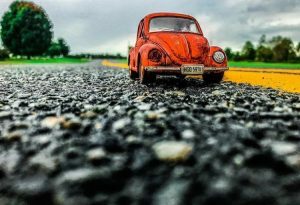 While being a full time caregiver for his handicapped brother in law, Roberto, a native of New York, creates photos of his toy collection to represent a childhood nostalgia of 70’s pop culture clashing with modern car culture aesthetics. Visit the Old Town Winchester Welcome Center throughout the months of November and December 2018 to see the exhibit and be sure to join us from 5-7 on the evening of December 7th for a reception with the artist for First Friday.